In the fateful month of March 2000, shortly after opening a hugely successful show in New York that unveiled the more nefarious financial connections of Presidential candidate George W. Bush, the hugely ambitious Conceptual artist Mark Lombardi was found hanged in his studio, an apparent suicide. With museums lining up to buy his work, and the fame he had sought relentlessly at last within his reach, speculation about whether his death was suicide or murder has titillated the art world ever since. 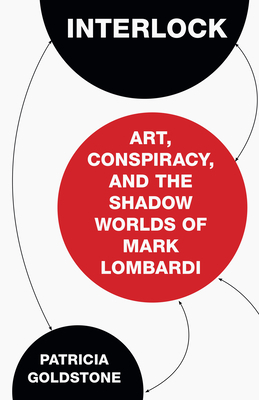 Lombardi was an enigma who was at once a compulsive truth-teller and a cunning player of the art game, a political operative and a stubborn independent, a serious artist and a Merry Prankster, a metaphysicist if not a scientist. Lombardi's spidery, elusive diagrams describing the evolution of the shadow-banking industry from a decades-old alliances between intelligence agencies, banking, government and organized crime, may have made him unique in art history as the only artist whose primary subject, the CIA, has turned around and studied him and his art work. Exhaustively researched, this is the first comprehensive biography of this immensely contradictory and brilliantly original artist. Patricia Goldstone has been a reporter for the Los Angeles Times and a bureau chief for Cablevision. She has written for the Washington Post, Maclean's, the Economist Intelligence Unit, and the Abu Dhabi National, among others. She holds a Master's Degree in Literature from Trinity College in Dublin and is the author of Making the World Safefor Tourism (Yale University Press, 2001) and Aaronsohn's Maps (Harcourt, 2007). She is a national award-winning playwright. She divides her time between New York and Los Angeles.